I was walking up from my house on Fruitvale towards E. 14th Street. About two blocks from my house, I found myself walking behind two womyn. One pushed a baby stroller; a baby was wrapped around the other. They began walking really fast and left me behind. As I approached my destination, I saw them join a line that was growing on E. 15th Street. I was going to work and they were waiting for food at the Street Level Health Project. Street Level Health Project formed in 2002 out of the need to serve community members. We provide all kinds of services including health navigation, labor rights information, day laborer collective, medical screening, immigrate rights information and food. 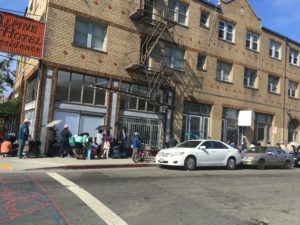 Once a week on Thursday mornings we become a hub for folks who simply, need to eat. Food – we all need it. Literally to live. Food is medicine all the time, everyday. It’s really that simple. Yet why are there so many folks in this particular country malnourished and starving? 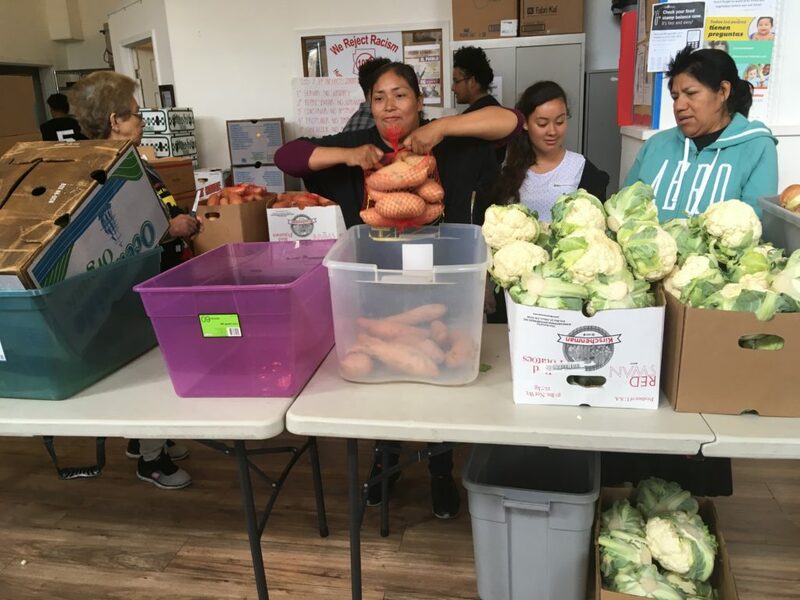 Food access is real. 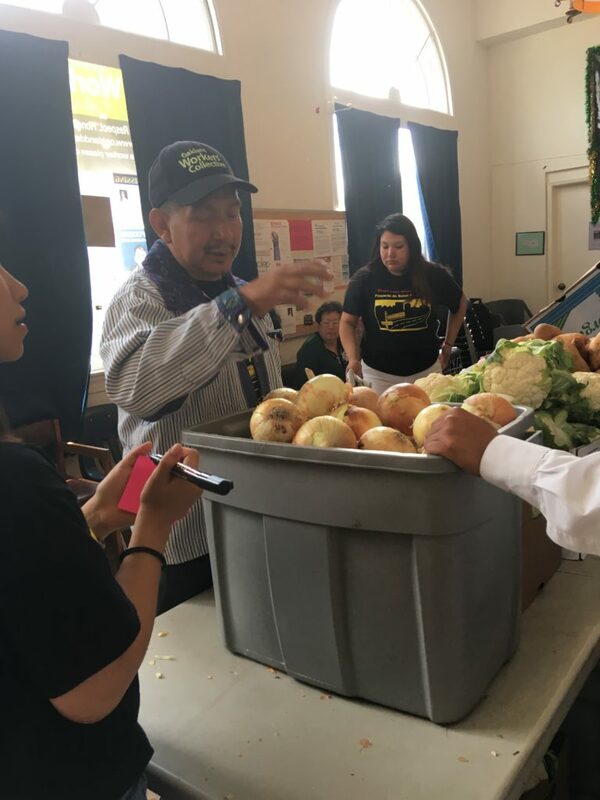 I am not here to share a story about the role of big agriculture, of folks making decisions that destroy others’ homelands, forcing them to migrate simply because they no longer can produce food to eat. That is not what matters. What matters is that people are hungry. Lolin Piceno has been working for Street Level Health Project (SHLP) for four years. She came to SLHP as a sick and hungry community member. Now she is on staff and heads up the food program here. She walks out and greets everyone with a smile and treats everyone with dignity. 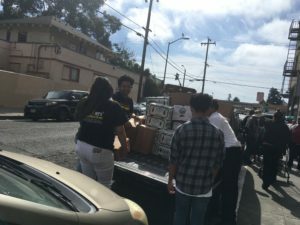 We give out on average 60 bags of food a week (food we pick up from the Alameda Food Bank) and of those 60-plus folks, 80 percent rely on this program for sustenance. Piceno feels that SLHP needs to do more yet realizes we all need to do more. To help one another with this most basic of needs. Eating. What are you doing to provide better access to food to those most in need? We ALL need to do more and we need to do it NOW.